Turkey Cakelette Pan with Stencil by Chicago Metallic Only $4.99! You are here: Home / Great Deals / Turkey Cakelette Pan with Stencil by Chicago Metallic Only $4.99! Plan ahead for the Fall! This silicone pan creates 8 turkey shaped desserts and works for brownies, mini cakes, cookies and more. 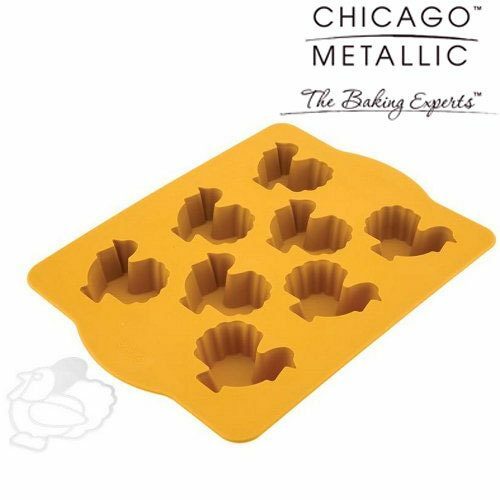 Get the Turkey Cakelette Pan with Stencil by Chicago Metallic Only $4.99!